Purpose-built as a great value trail sled and is designed to deliver confidence. PRO-RIDE® CHASSIS: The INDY® 121 is built on the PRO-RIDE® chassis that is 300% stiffer for precise, intuitive handling. The ideal choice for a nimble handling sled that is fun to ride. RACE-PROVEN FRONT SUSPENSION: Lighter steering, sharper cornering. 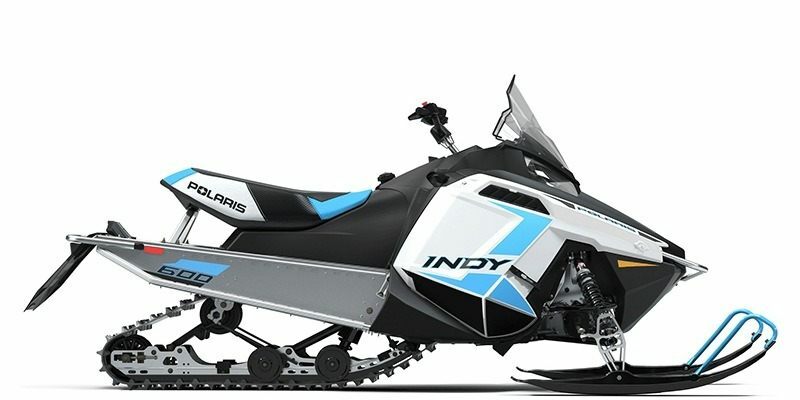 Developed with the Polaris® Racing Program, the performance and durability of the INDY® 121 front suspension were proven in extensive on- and off-track testing. 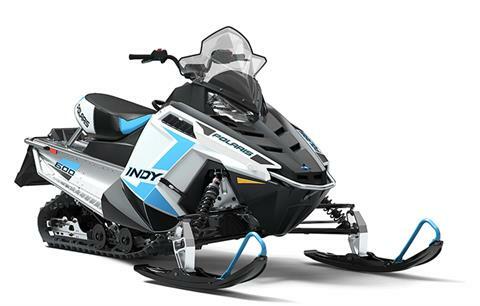 INDY® COUPLED REAR SUSPENSION: Legendary performance from the ride and handling experts. This proven design provides great ride quality in a conventional coupled design. CVTECH POWERBLOC50 / INVANCE CLUTCHING: All INDY® models that feature the 500 Fan Engine use the CVTech PowerBloc50 drive clutch parried with the Invance driven clutch. This clutching delivers smooth engagement, enhanced low-speed drivability and quieter operation. These durable clutches have a maintenance-free design and are easy to tune while installed on the sled. POWERFUL ENGINE OPTIONS: The INDY® 121 is available with the 550 Fan engine or 600 Cleanfire® engine for reliable engine performance. LIGHTER WEIGHT: The INDY® 121 is 50 pounds lighter with the PRO-RIDE® chassis. HANDLEBAR AND STEERING POST ANGLE: The INDY® 121 design has a 15 degrees flatter steering post angle developed for sit-down and standup riding comfort and flexibility.